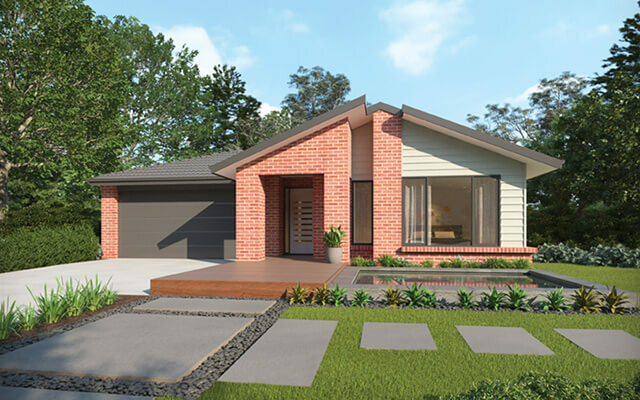 A brand new façade on offer from Dennis Family Homes has a distinctly coastal feel that will appeal to Aspirations Series customers looking for something a little more stylish. The striking Cadia facade features weatherboard combined with brick and a sharply angled roofline to create a breezy coastal frontage that adds a welcome variation to any streetscape. 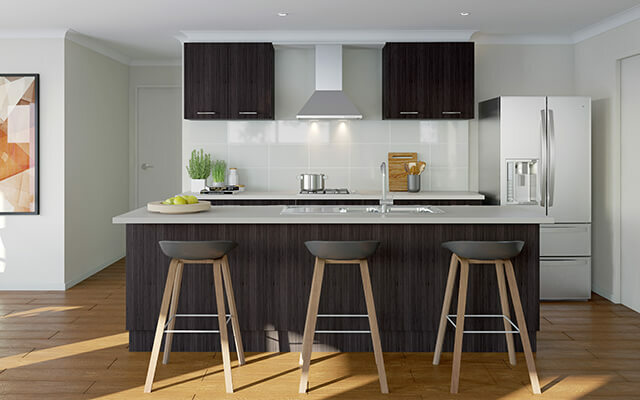 Design Manager at Dennis Family Homes, Kelvyn Rowley, says the decision to create a new façade for selected home designs in the Aspirations Series was inspired by feedback from both customers and developers. “We were receiving feedback from our Aspirations Series customers that indicated they were after a façade that offered a contemporary, even edgy, look,” explained Mr Rowley. 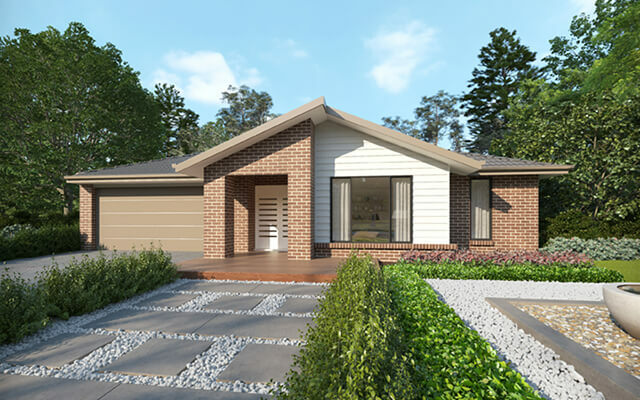 Available for construction on twelve of the newest single storey designs from Dennis Family Homes, the Cadia façade has been very well received by customers and developers throughout Victoria and Southern NSW. Further information about designs and display locations is available online at www.dennisfamily.com.au or by phoning 1800 DENNIS.